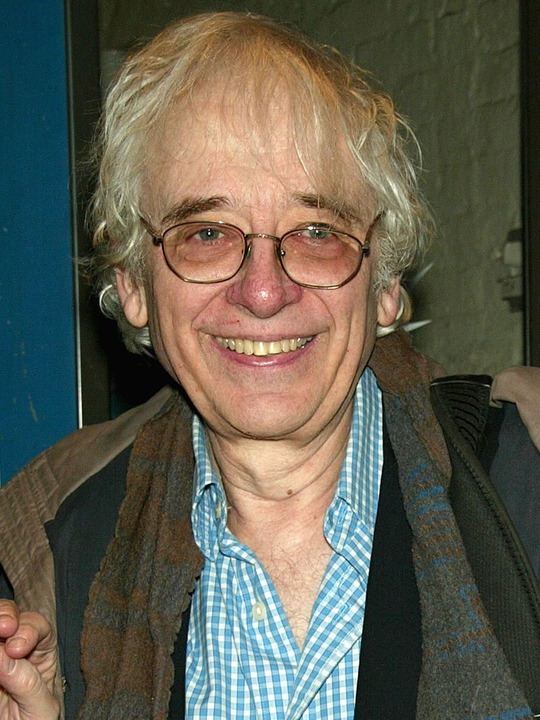 Austin Pendleton is an American film, television, and stage actor, a playwright, and a theatre director and instructor. Pendleton was born in Warren, Ohio, the son of Frances Manchester Pendleton, a professional actress, and Thorn Pendleton, who ran a tool company. Pendleton is a graduate of Yale University, where he was a member of Scroll and Key Society. As a stage actor, he has appeared in The Last Sweet Days of Isaac , The Diary of Anne Frank, Grand Hotel, Goodtime Charley, The Little Foxes, Fiddler on the Roof, and Up from Paradise. Pendleton penned the plays Uncle Bob, Booth, and Orson's Shadow, all of which were staged off-Broadway. His direction of Elizabeth Taylor and Maureen Stapleton in Lillian Hellman's The Little Foxes garnered him a Tony Award nomination. Additional directing credits include Spoils of War by Michael Weller, The Runner Stumbles by Milan Stitt, and The Size of the World by Charles Evered. Pendleton served as Artistic Director for Circle Repertory Company with associate artistic director Lynne Thigpen. Pendleton is an ensemble member of the Steppenwolf Theatre in Chicago. He began his artistic relationship there by directing Ralph Pape's Say Goodnight, Gracie for the 1979-80 season. In addition to directing at Steppenwolf, Mr. Pendleton has appeared as an actor in such Steppenwolf productions as Uncle Vanya, Valparaiso and Educating Rita. In the seventh and final season of Homicide: Life on the Street he portrayed Dr. George Griscom, a medical examiner with a quirky outlook on his profession and a dark sense of humor. He also appeared in the Tales from the Crypt episode "Doctor of Horror" as a doctor with a bizarre obsession. In the 1970s, Pendleton had a small role on "Good Times"; he played Mr. Hargrove the Director who recommended Michael Evans to attend trade school instead of college due to a low score on an IQ test. He has had several television roles as well including a recurring role on HBO's Oz as the mentally unstable murderer William Giles. He did voice-over work as Gurgle in Finding Nemo. he appeared in Wyoming Seminary's Performing Arts Institute production of Gypsy as Herbie opposite Devon McFadden as Moma Rose and Allison Considine as Gypsy Rose Lee. Pendleton then went on to direct Tennessee Williams' autobiographical play Vieux Carré at The Pearl Theatre Company off-Broadway. In January & February 2010, Pendleton directed 2 plays, "Bus Stop" at "The Olney Theatre" and "Golden Age" at the "Philadelphia Theatre Company". In April 2010, Pendleton acted with Eleanor Handley in the romantic comedy "Limonade Tous Les Jours"by Charles Mee, directed by Diana Basmajian. Pendleton currently teaches acting at the HB Studio and directing at The New School, both in Greenwich Village. There is a documentary film in production on Austin's life and work called "The Austin Pendleton Project: Where The Work Is" co-directed by Gene Gallerano and David Holmes. Whole or part of the information contained in this card come from the Wikipedia article "Austin Pendleton", licensed under CC-BY-SA full list of contributors here.